Evonne’s interest in becoming a humanist celebrant came to the forefront after attending a number of humanist-led ceremonies. Impressed with the attention to detail, personal touch and warmth which they provided, Evonne asked a humanist celebrant to officiate her own wedding celebrations! Following more research into humanism as a life stance, Evonne realised that the values are very much what influence the way in which she leads her own life; recognising the importance of every person and living life to full reward. 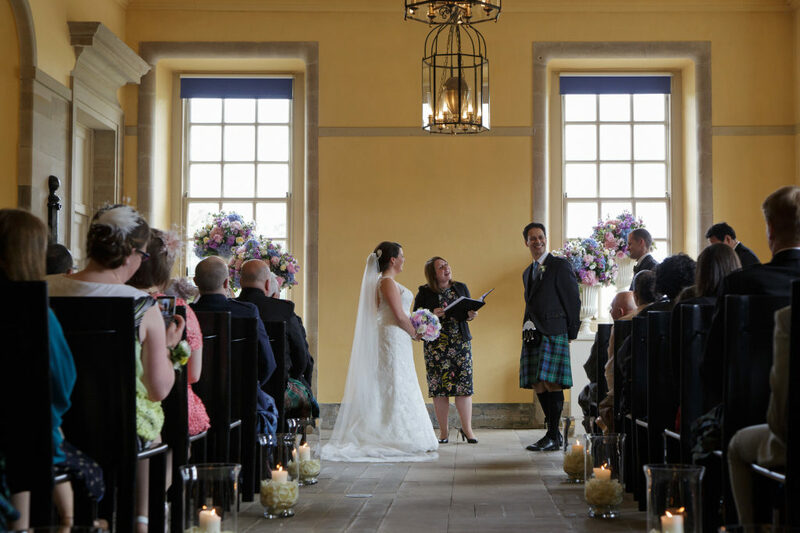 With this in mind, she decided to pursue her interest in training to become a celebrant and joined the Humanist Fellowship of Scotland, subsequently joining the Humanist Association Scotland. Since then, Evonne has had the privilege of working with families and couples to create and deliver ceremonies to mark important occasions in their lives. 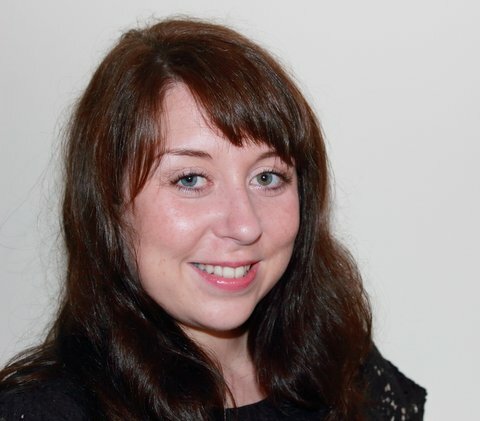 With a degree in Journalism and a background in Learning & Development, Evonne has considerable experience in writing and public speaking and she enjoys all things creative. Her genuine interest in working with people ensures that each ceremony is unique, personal, and memorable. 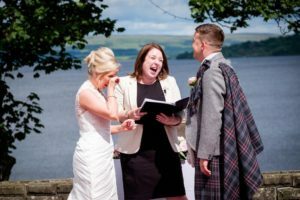 Evonne McLaughlin is based in Glasgow and is happy to travel across Scotland to create and deliver wedding, funeral and baby naming ceremonies which recognise and reflect the importance of the occasion and of those involved. She can be contacted anytime on 07872 057 674, by email at evonne @ humanistassociationscotland.com or by using our website contact page. What People Have Said About My Weddings…….. Thank you Evonne for the beautiful ceremony on Friday. Many people commented on how good it was, and what a good speaker you are. We all felt that your really understood what Margaret was like. The whole day became a fitting celebration of a much loved, and very loving woman, and brought together all her friends from all age groups, all over the country and all walks of life. Hi Evonne, A quick e mail to personally thank you for a wonderful ceremony for my mum Jessie. It was a measure of your reading of the ceremony that everybody loved the way it was laid out and presented, and was a great reflection of my mum’s life. I also felt that you where one of the family when reading it and it made everything feel more personal. Good Morning Evonne, Just a quick note to thank you for the service you conducted for my mum on Monday of this week. I thought you struck exactly the right tone and everyone was most complimentary afterwards. For someone who had never met my mum, you gave a thorough and moving account of her life and we were all very happy with the send-off. Dear Evonne, My Mum and the rest of the family were keen that I contact you to express our deepest thanks for the lovely service you conducted on our behalf. It was the first humanist service we have attended and my mum has expressed her wish to have the same ceremony at her service when the time comes. Friends and relatives of my dad also expressed how lovely and celebratory the service was. So thank you so much for all your support and kind words, you were a great comfort to us all and helped us really manage a difficult day. Hello Evonne, My family and I would like to thank you so much for the great job you did at my dad’s funeral yesterday. You must do many funeral services but the feeling that came over, was that you knew my dad really well. That is a great skill. Your speech was eloquent and sincere and your preparation with my sister and I was both professional and personal. Many of our friends and family said how much they enjoyed the service. The feeling of celebration outweighing sadness was exactly what we wanted to convey and you achieved that perfectly.